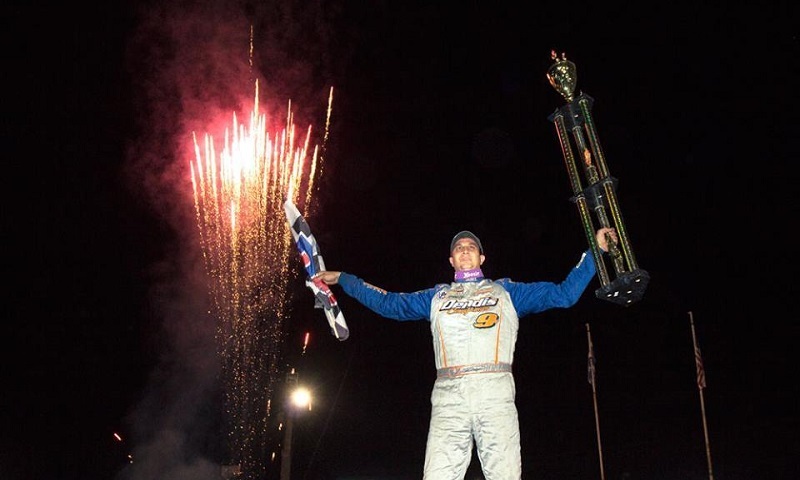 GRANBY, Quebec — In front of a packed house and clear skies, the Super DIRTcar Series started a successful Quebec swing at Autodrome Granby with Matt Sheppard in victory lane for the second time this season after a dominant run. Challenging Sheppard on a few occasions was Ward, who finished second. Completing the podium was Brett Hearn. The original start saw Tim Fuller lead as Brandon Walters stopped in the backstretch. On the restart, Fuller remained in front, with David Hebert and Larry Wight in third. Hebert was strong on the high side and grabbed the lead on lap five, but Stewart Friesen slowed and brought out the caution on the following lap. Hebert and Fuller swapped the lead on a lap 11 restart as the driver of the No. 19 got back in front with Hearn in third. Hebert was back in front on lap 20 after he made a great pass on Fuller using the inside lane, and Hearn made a similar move to take second from Fuller just as the leaders got into lapped traffic on lap 25. Hearn had a great restart on lap 29 to take the lead from Hebert as Sheppard ran in third, while Hebert started to fade and gave third to Ward on lap 36. Sheppard had a dominant surge as he took the lead on lap 44 from Hearn and quickly pulled away from the field. Max McLaughlin slowed the field down on lap 51. When the green lights were back on, Sheppard stayed on top as Larry Wight drove to fourth and Peter Britten cracked the top five. Ward started to challenge Hearn for second and he was able to take the second spot on lap 57. A few cautions slowed the final portion of the feature as Sheppard had to resist a few charges from Ward in the closing laps with Hearn completing the podium. Steve Bernard won the Pole Position Raceway Fast Qualifier Award with a time of 18.399 seconds.